In both cases, the mutant Huntington disease proteins aggregated less and fewer neurons died. Allada, who expected jet lag to inflict even more damage on the brain, was surprised. "We had wondered if the clock played a role in the disease," he said. "It turned out that the clock was important—but in a manner that we did not predict." The team zeroed in on a gene that encodes the "heat shock organizing protein," or "hop" for short. Not only is hop controlled by the body's circadian clock, the gene is also responsible for protein folding. Because misfolded proteins can result in many different neurodegenerative diseases, Allada thought hop made an interesting target. He and his team knocked down the hop gene in flies with the protein that causes Huntington disease and—again—were surprised. 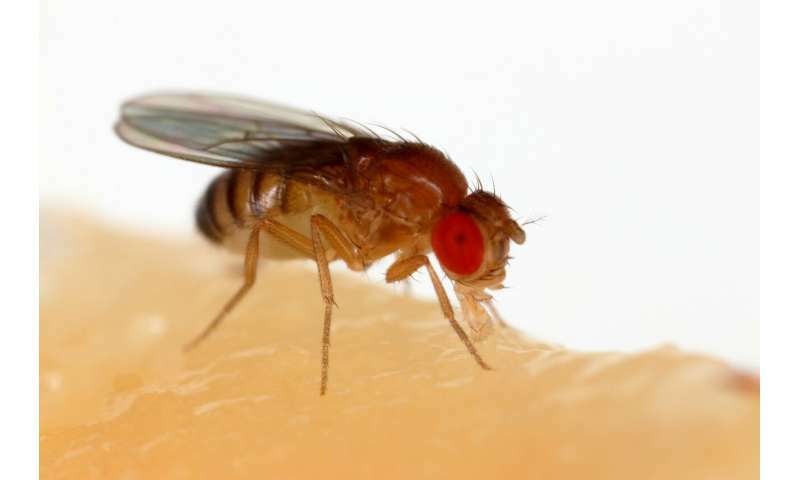 Knocking down the gene restored the flies' arrhythmic circadian clocks, reduced the aggregation of diseased proteins in the brain and reduced the number of neurons killed by those proteins.